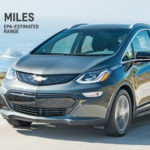 Speaking to an employee meeting this week, GM’s CEO Dan Akerson talked about research between GM and Envia Systems developing battery technology which should allow GM to build 200 mile range affordable electric cars in the next two-to-four years. The two key hurdles to electric car adoption are price and driving range. Solving both these issues simply requires battery technology research to increase energy density and lower cost. 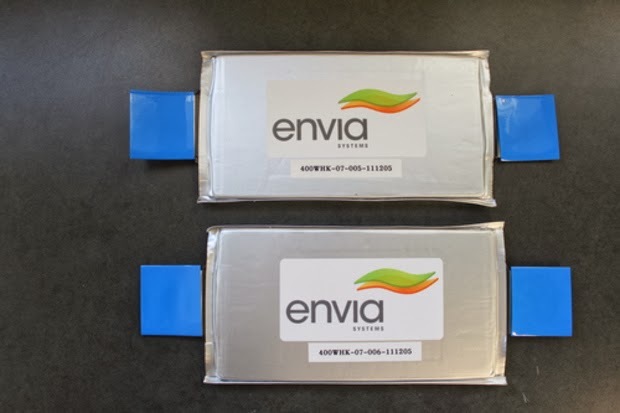 One of the Silicon Valley battery technology companies, Envia Systems, is doing just that. Yesterday, the Associated Press reported that GM’s CEO Dan Akerson spoke at an employees meeting, saying the company is working with Envia Systems on battery technology breakthroughs which would enable electric cars with 100 to 200 miles driving range. Obviously it is quite possible today to build an electric car with an EPA certified 265 driving range. 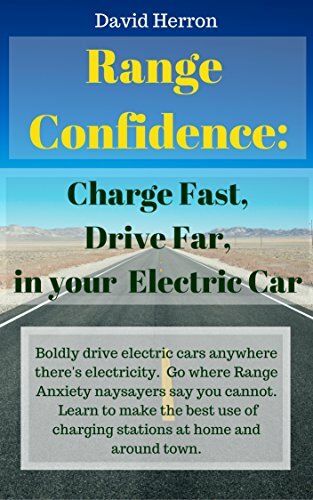 The Tesla Motors Model S is certified with a 265 mile driving range, and once the Tesla SuperCharger becomes available it will be possible to recharge that car within an hour. 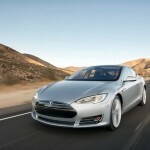 The Model S is the first electric car that could be driven on an American-style road trip. This sounds fantastic, until you look at the purchase price of the Model S.
Since the 265 mile driving range electric car already exists (from Tesla Motors), Akerson can only be speaking of a slightly different goal: the affordable 200 mile driving range electric car. Akerson spoke in March about the possibility of a 140 mile driving range Chevy Volt without explicitly mentioning Envia Systems. In early 2011 GM Ventures invested in Envia Systems, to give the company access to Envia’s advances in lithium battery technology. Envia is a licensee to “advanced lithium-ion cathode technology that delivers higher cell energy density and lower cost,” technology that both GM and LG Chem has also licensed. Indeed, in February Envia Systems announced technology developments the company believes will give twice the energy density at 1/4 the cost of current lithium ion batteries. Assuming the technology development is successful (not all research projects work out) GM has two choices. One is to build a 35 mile electric range gasoline range extended car, the Chevy Volt, at a much lower price. The other choice is to build the 200 mile driving range electric car, at the price level of today’s Volt or Leaf. Envia is targeting a 400 Watt-hour/kilogram energy density at the cost of $125 per kiloWatt-hour. 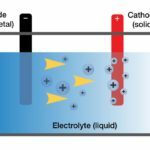 The technology combination is a silicon-carbon nano-composite anode, a high voltage electrolyte (up to 5.2 volts per cell or so), the company’s High Capacity Manganese Rich (HCMR) cathode. 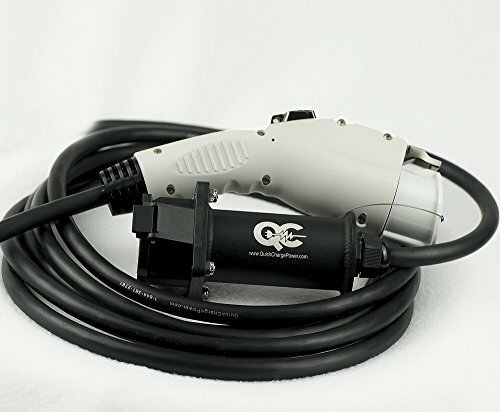 The company claims over 1000 charge cycles to 100% depth of discharge, meaning total battery pack lifetime will be extremely long, as well as strong safety characteristics. Current electric car battery packs have energy density in the 100-200 Watt-hours/kilogram range, and prices over $600 per kiloWatt-hour. 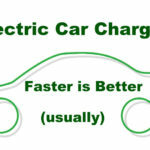 Battery pack costs are the major factor in the high purchase price of electric cars. If Envia’s technology research works out as expected this would clearly be a “game changer”. In July a report from on the McKinsey Quarterly website claimed electric cars would become inevitable and cost competitive by 2020 , due to falling battery prices. That report suggested the sweet spot for battery pack prices under $250 per kilowatt-hour. 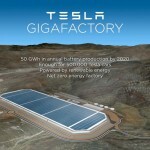 That report expected battery pack prices could drop to $200 per kWh by 2020 and to about $160 per kWh by 2025, due to manufacturing batteries at scale, and battery capacity improvements. Electric vehicles already give a cost benefit over gasoline powered vehicles, because electricity is a cheaper fuel than gasoline . While the savings on fuel costs are not enough to pay for the price premium of an electric car over a gasoline car, today, if/when battery pack prices fall the electric car price premium should shrink, making it easier to reap the benefit of electricity as a lower cost fuel. Chevy Volt, Envia Systems. Bookmark.